This book needed more Darkling. It needed much more Darkling. All Mal does is piss me off. I know the ending of this series is pretty controversial and I’m so scared, because it seems so obvious that she’s going to end up with Mal, even though he doesn’t have an empathic bone in his whole body. At this point, I honestly would have picked Nikolai over Mal. I’m trying to stay away from spoilers, so I’m not sure if I’m in the minority with disliking Mal, but if I had to guess I’d say I probably am. On top of the annoying love triangle square, this book was so slow. 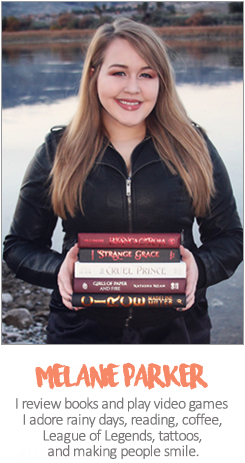 Shadow and Bone was so action packed and we were thrown into so many intense situations. This book was just building up to a rather lackluster explosion, in my opinion. I really enjoyed the introduction of Tolya and Tamar. I also loved learning more about all the other Grishas. I just… I just needed more Darkling, okay? 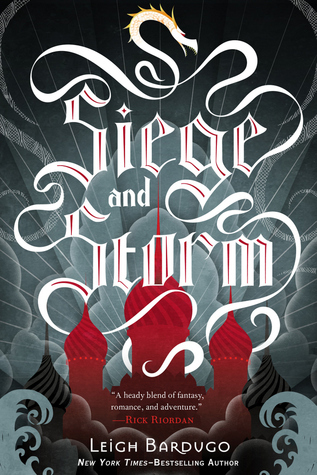 Leigh Bardugo is such a talented writer, and Siege and Storm continues to be a testament to that. This world is so unique; I’ve never read anything like it in all my years of reading fantasy novels. The last few chapters of this book were so powerful; if the rest of the book could have shared that, it would have been another easy five star read. I’m just going to chalk this book’s problems up to “Second Book Syndrome” and move on to Ruin and Rising, because I need more Darkling in my life, even if it seems rather unlikely for him to get a happily ever after.